2015 is coming to a close, and I think it's only fitting to do a wrapup post of sorts. And what's more apropos than a wrapup of all the nail polishes I tried, tested and loved this past year? Below, the colors and brands I absolutely loved during 2015. Some I featured on the blog, others were only seen on Instagram (be sure to follow me there if you aren't already for exclusive content!). You can even go further back in the future and check out my 2013 in Nails and 2014 in Nails, too. 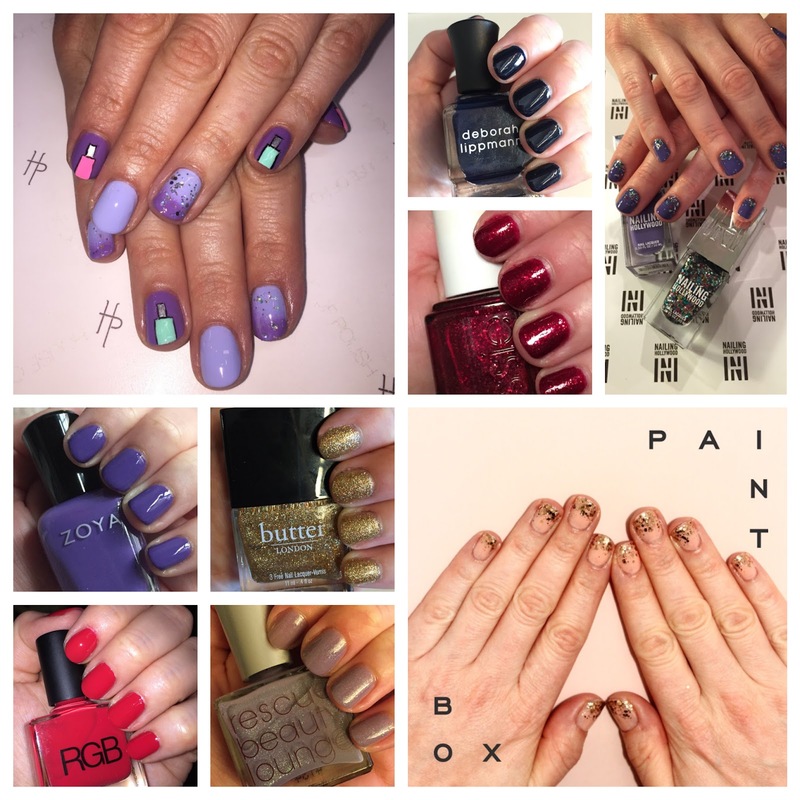 And be sure to let me know your favorite nail polishes of the past year in the comments! Chanel Tenderly: If Chanel could just stop creating such gorgeous colors already, it would make my life a lot easier. But this muted mauve is just one more I had to add to my permanent collection immediately. Essie Hors D'Ouevres and Pinkadelic: One coat of that sparkletastic glitter over pale pink sure made me smile. 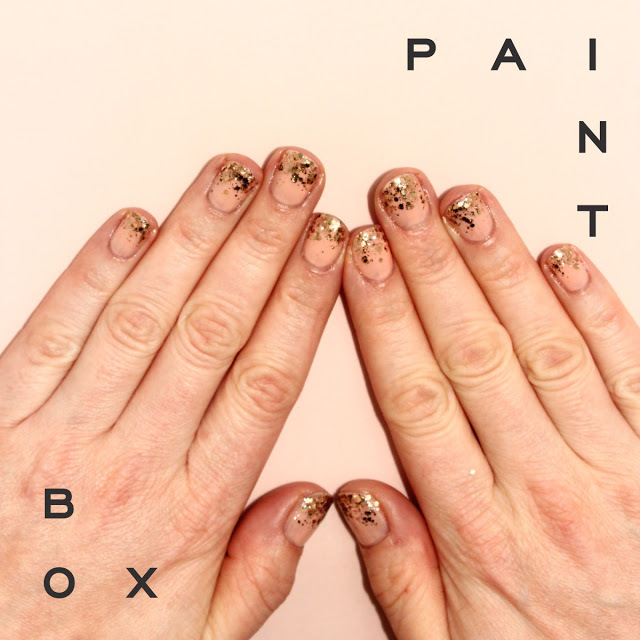 Paintbox Ice Queen Manicure: For my birthday, I decided to visit Paintbox in NYC. The only tough choice was figuring out which manicure I wanted to go with! I finally chose the Ice Queen, whose sparkle really perked me up and made my birthday trip all the more glamorous. Essie Leading Lady: Best. Glimmery. Red. EVER. OPI My Dogsled is a Hybrid: Will you look at that teal? I was so excited to try this color, and I'm so happy I finally did. It's just so striking. Essie Comfy in Cashmere: Whether you wear this polish with top coat or without, one thing is certain: the shimmery mauve hue will get your heart racing. butter LONDON West End Wonderland: Gold, gold, GOLD. And as if that weren't glorious enough, it's shot through with rainbow-hued sparkle. In a word, yes. Essie The Girls Are Out: Silver shimmer meets fuchsia meets complete and utter perfection. This is one of my all-time favorites. 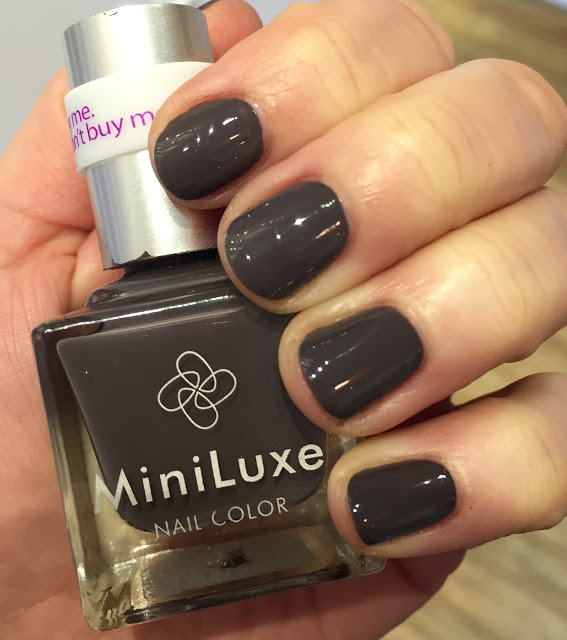 MiniLuxe Sealed With a Kiss: If you're looking for a gorgeous charcoal paired with a fabulous manicure experience, this color -- and this salon in Boston -- are it. 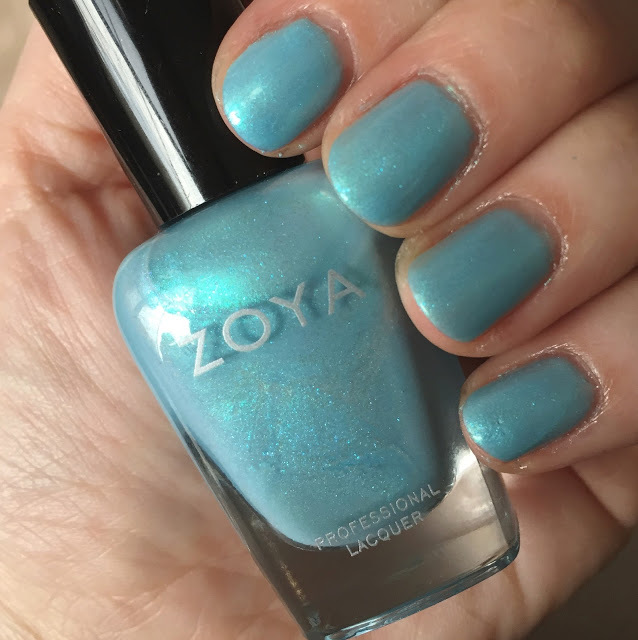 Zoya Rayne: Sky blue. Metallic turquoise shimmer. Yes please. RGB Cosmetics Too Red: Look no further than this polish for that one, perfectly perfect red. 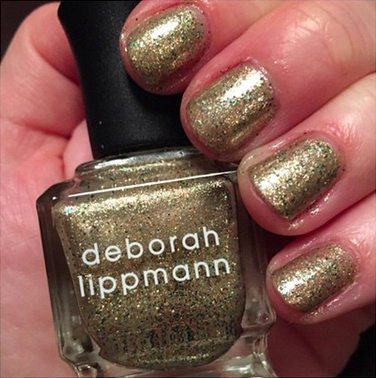 Deborah Lippmann Fake It Til You Make It: I selected this gleaming gold for my birthday trip to Las Vegas with my brother. The flashier the better, right? Nail Polish Stash and Storage: When you own over 400 nail polishes, figuring out how to organize and display them can be quite the challenge. I finally bit the bullet and ordered racks from Amazon to display on my wall in Pittsburgh. (They've since broken during my move to LA, but that's neither here nor there.) I absolutely loved how this came together! 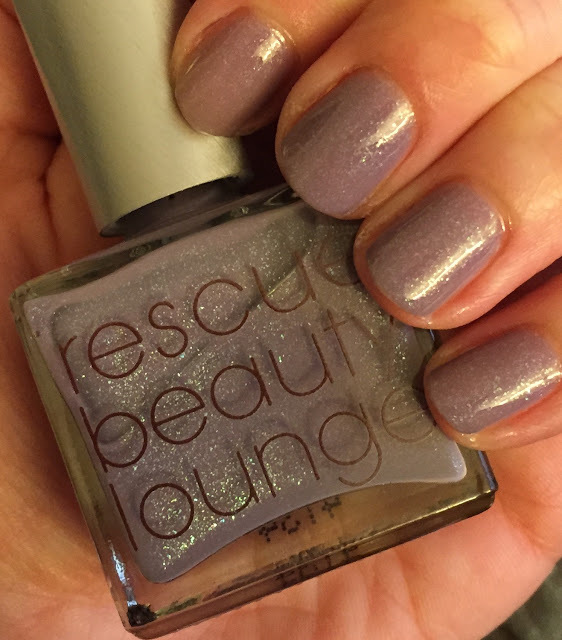 Rescue Beauty Lounge Scrangie: This is one of my favorite shades, well, EVER. The violet with blue shimmer always gets my heart racing. 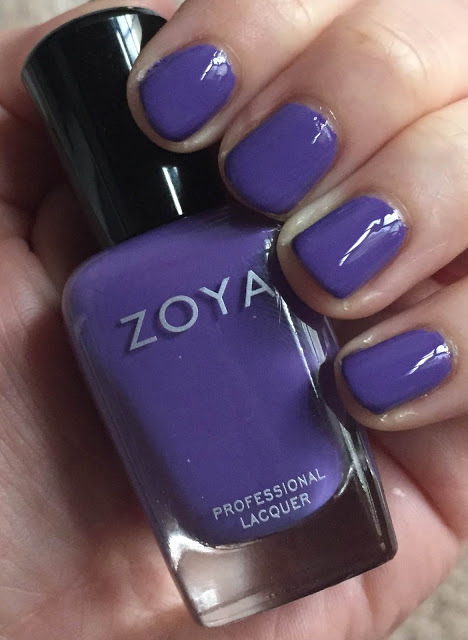 Zoya Serenity: I loved the entire Island Fun collection, but this rich, glossy grape really made my heart flutter. Deborah Lippmann Glitter in the Air: Three coats of this pale blue with turquoise and pink glitter and I was floating on air right before my spring trip to LA. 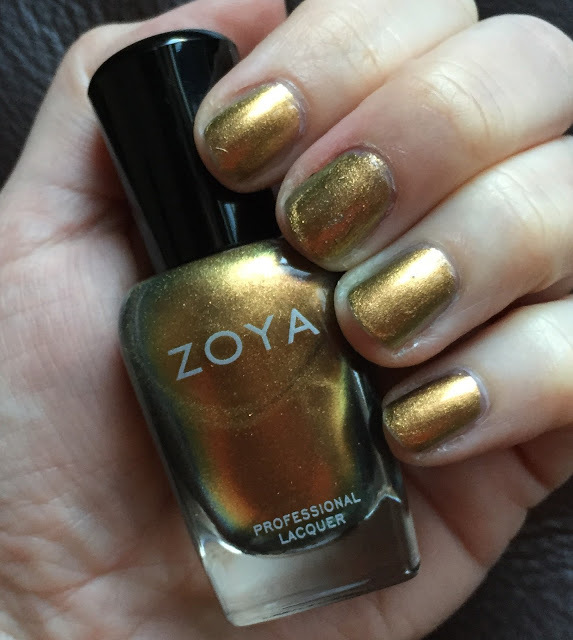 Zoya Bar: Anyone who knows me knows that I can't live without a super sparkly, glittery gold. Bar, one of the colors from the 2014 Magical PixieDust collection, fit the bill perfectly. 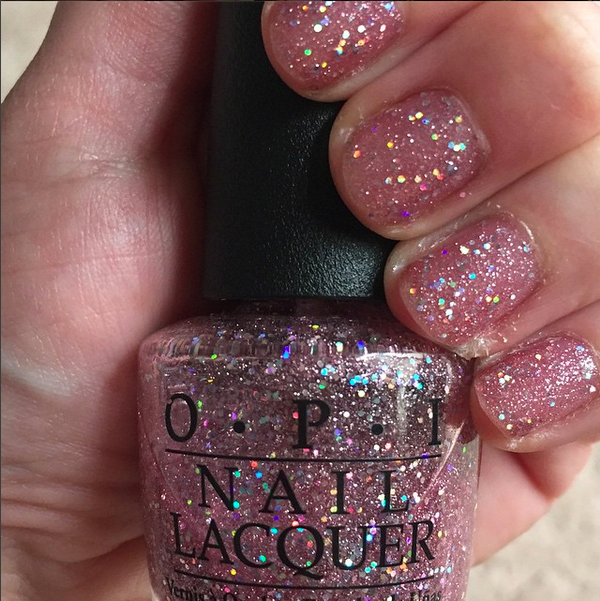 OPI Teenage Dream: No matter how many times I go back to this glittery holographic pink, I simply can't get enough. 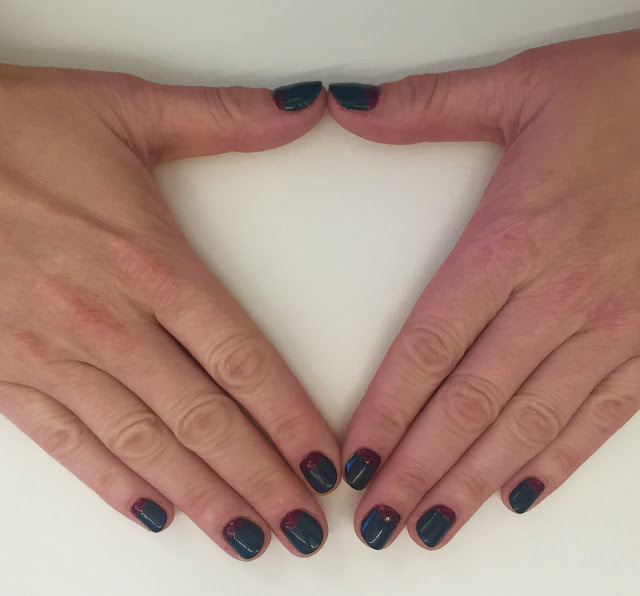 Côte Manicure: My trip to LA was fruitful in many ways, but one was in my discovery of Côte. My only problem was in deciding which color to use for my manicure, so I went with two instead. 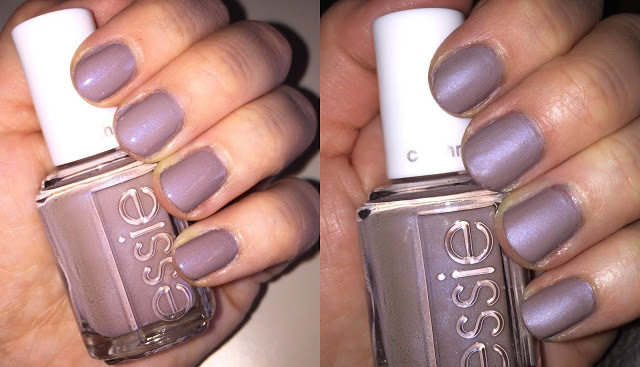 Essie Saturday Disco Fever: Let's face it -- this is definitely made for hot summer nights. The House of Polish Nail Polish Nail Art: Can you think of anything better to paint on your nails than miniature nail polish bottles? Especially when you visit a nail salon that specializes in nail art? Yeah, I couldn't either. 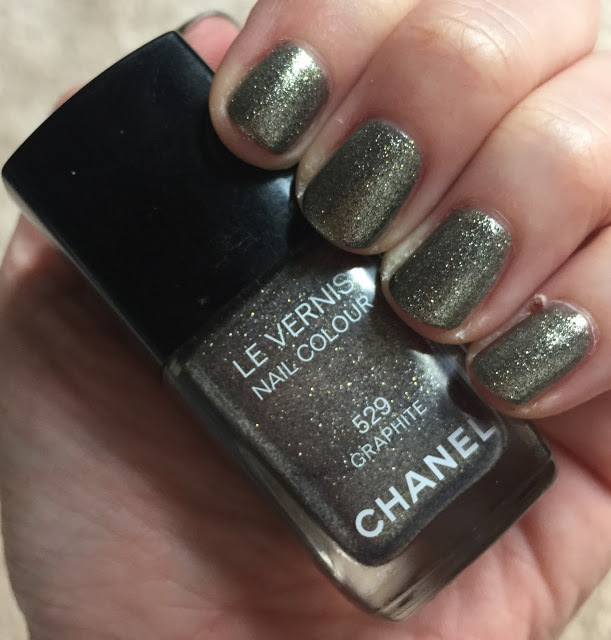 Zoya Aggie: This was one of my favorite new nail polishes of 2015. The holographic gold with bronze shimmer is one of those shades that just keeps making you stare at your nails over and over and ... well, you get the picture. 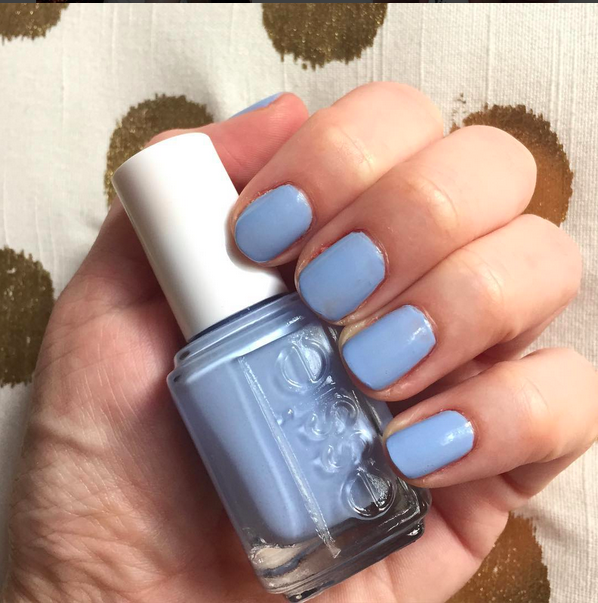 Essie Bikini So Teeny: I wear this color at least once a year. Every time I do, I'm once again struck by its sheer and utter beauty. 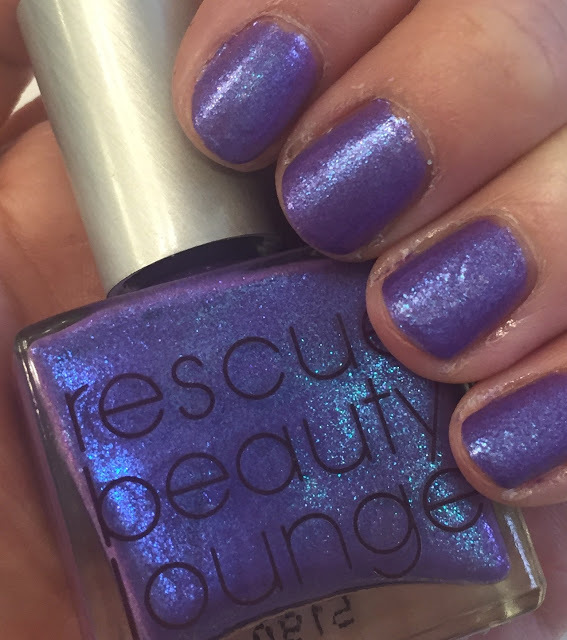 Rescue Beauty Lounge Will They Won't They: Oh, Ji. Thank you for creating one of the prettiest shimmery mauves I've ever, EVER seen. 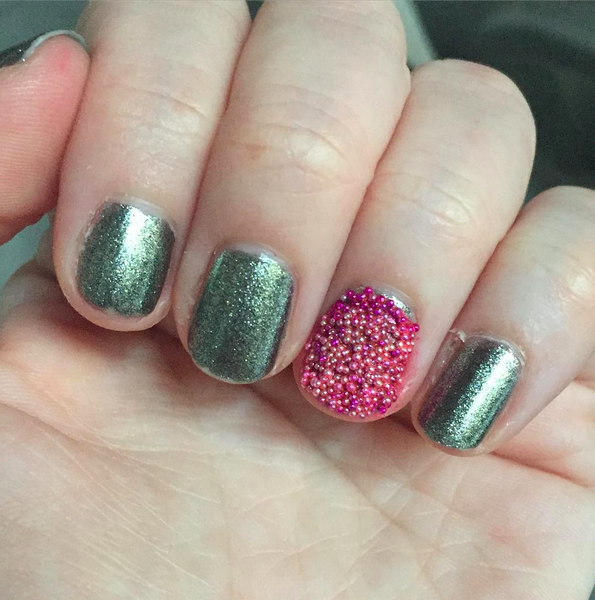 Caviar Manicure with Chanel Graphite and Michaels Cherry Microbeads: I'd been curious about the caviar manicure for quite some time, so I decided to try it out on just one nail with these microbeads I'd picked up at Michaels awhile back. I think it's cool, but not necessarily my favorite nail art idea ever. 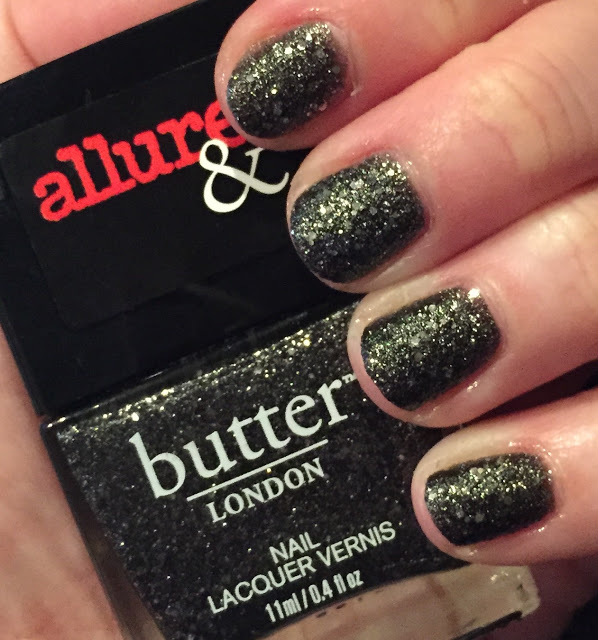 Allure & butter LONDON Disco Nap: Multidimensional glitter flecks and rich texture makes this polish another of my favorites from 2015. Nailing Hollywood Jacaranda and Supernova Nail Art: As if I weren't already sure that my move to LA was the right one, I was invited to an event launching the gorgeous new Nailing Hollywood nail polish line within days of getting there. And even better? I (finally) got to meet the one and only Jenna Hipp! Rescue Beauty Lounge GalaxSea: So Ji Baek decided to shut down RBL this year. I was devastated. RBL is definitely one of my favorite brands of all time -- I have over 30 shades from the line -- and I can't imagine never getting another one. I of course purchased a lot of them before she shuttered for good, and at the top of my list was this shimmery deep lavender. Color Club Shabby Drab and Deborah Lippmann Nefertiti Nail Art: Another trip to The House of Polish, another unique manicure! 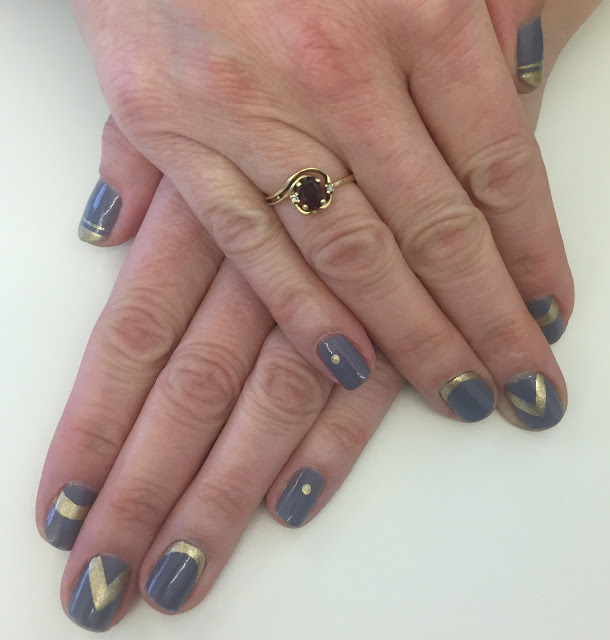 I loved this combination of colors and the geometric art my manicurist created. 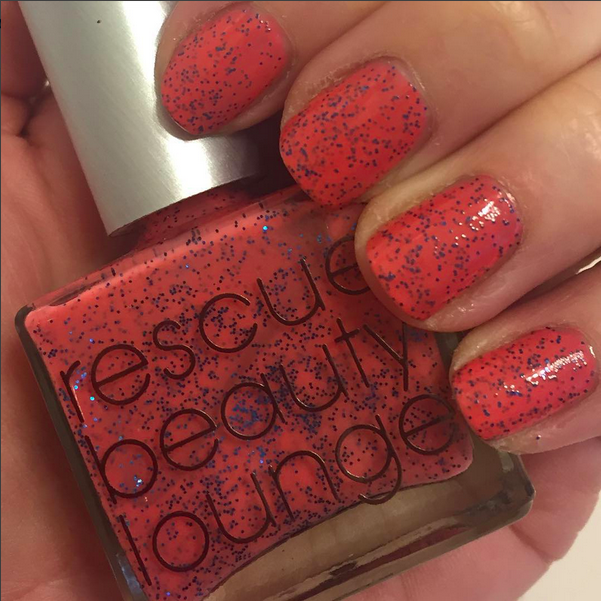 Rescue Beauty Lounge Refined and Polished: Salmon with buildable royal blue multiglitter. RBL. What more do you need? Essie Leading Lady and RGB Tropic Nail Art from Olive and June: Living in LA definitely has its perks. One of my favorites? Discovering amazing nail salons! Olive and June is an adorable spot tucked onto Canon Drive in Beverly Hills and has quickly become one of my go-tos. And after seeing this fun Christmas-themed mani, can you blame me? Love,Love, Love...My intent when I started reading this was to tell you my favorite mani but there are too many!!!!! So many pretties!! My eyes are instantly drawn to the sparkly Butter London shades, especially that gold one! Wow! I love this round up. I wonder if I ended up doing at least one mani a month on my blog. I only have a few of the ones you've shown. Aggie wore horribly on me, just didn't last. But Serenity wore beautifully. I want your storage!! Great summary of great manis. Happy New Year!!!! I love all of these, especially those cute nail polish bottles on your nails. Happy New Year! So many great picks! Love all the Zoyas you picked! I have pinned a lot of your images , great look of 2015. A bunch of fabulous manicures this year!